Since 2001, Selenice Bitumi Sha, 100 % French Holding company, extracts, processes, and distributes natural shapes asphaltite. This all natural product is extracted directly from the Selenice mine in Albania. 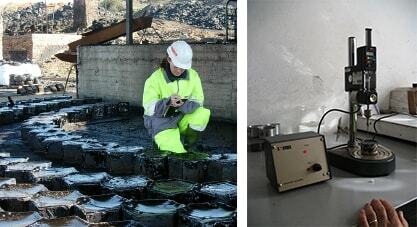 The Albanian mine of Selenice is an uncommon deposit that contains a large amount of natural bitumen. 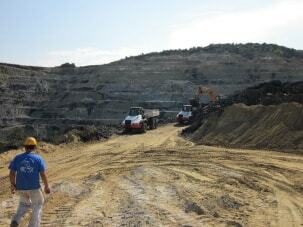 The ore extraction is carried out through open pit mining using excavators. The product undergoes only a heat treatment in a furnace to remove the impurities and inorganic matters. Selenice Bitumi Sha is committed to reduce as much as possible the CO2 emissions during its extraction and refining operations. 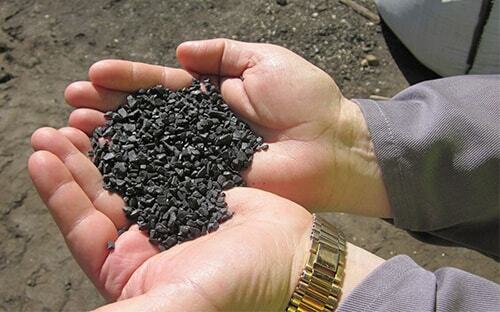 Selenizza® is a natural bitumen directly extracted from the quarry and is not subjected to chemical treatment. The use of our product allow to reduce the thickness of asphalt layers and increase the useful life of pavements. The constant improvement of the process ensures the quality of the delivered products and their compliance with the standards.